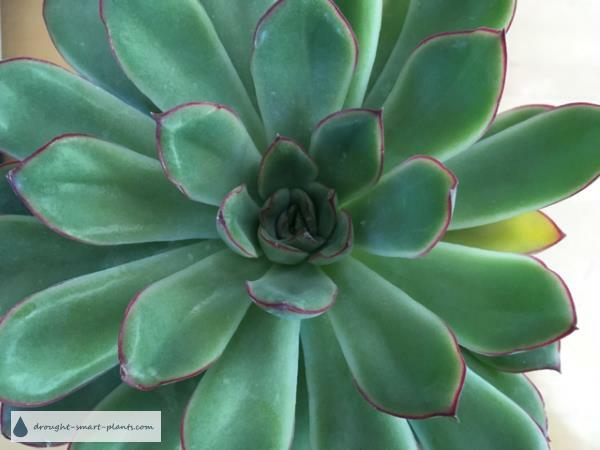 Echeveria pulidonis is very well behaved and neatly shaped succulent plant. Mid green leaves are accented with pinky red tips and edges. Size of each rosette is about 10cm (4") across, and up to a height of 6-10cm (3-4"). Not fussy as to conditions, but bright light and dry soil are preferred. Propagate by leaf cuttings, as this Echeveria tends to stay low to the soil level, and doesn't offset much. Use as a nice accent plant in your collection.